COMPLETELY REMODELED!! 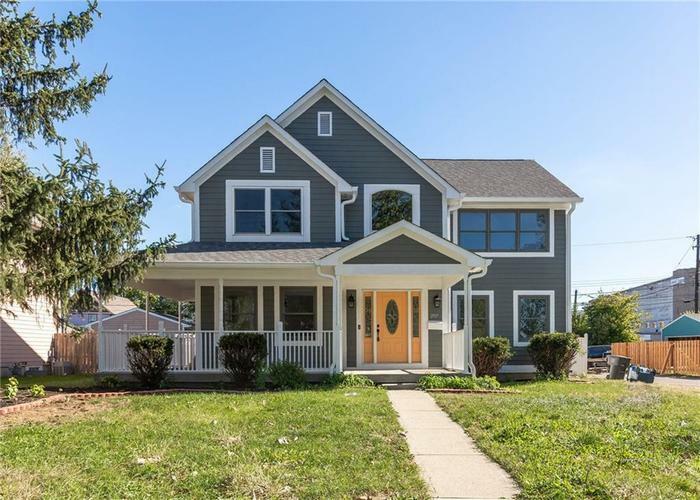 This gorgeous home centered between Indy's downtown and Broad Ripple sits on a quiet cul-de-sac with other beautifully renovated homes. You will fall in love with the fully remodeled kitchen with high end quartz, new shaker cabinets, pantry and black stainless appliances. All bathrooms remodeled with fully tiled master bathroom shower, beautiful double vanity, jetted tub and high end flooring. Every inch of the house, inside and outside (including garage) freshly painted with neutral colors. Brand new roof just installed on house & garage, new hardwood flooring on main level, new soft carpet in bedrooms, granite fireplace and so much more. Full unfinished basement ready for your touches. Don't wait on this one! Directions:From downtown, North on College and then right on Fall Creek, right on New Jersey Street to last home on the left.